Wordsmith Jeffrey Campbell aka Assassin returns with his second album from VP Records called, 'Gully Sit'n'- a collection of dancehall tracks inspired by the streets of Jamaica. 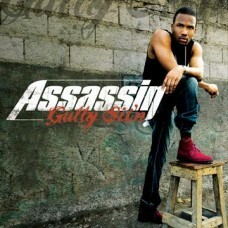 Assassin's new album includes recent hits and current dancehall burners, 'Don't Make We Hold You', 'Beep Out', and 'No Boring Gal'. Album producers include Dave Kelly, Don Corleon, and Stephen McGregor so you know de ting official! Straight!